With fluctuating energy costs around the world, consistent energy bills are luxury all homeowners welcome. Windows are the most exposed part of a home and provide plenty of opportunity for energy loss and savings. Modern triple glazed windows with low U-values will help decrease both heating and cooling bills while creating a more stable and comfortable interior temperature year round. Best of all, because it is so common in Germany, the price difference compared to double glazing is just 5% or less! This means triple glazed windows from abroad may be cheaper than local ones! Simply put, triple glazing is three panes of glass built into a window. 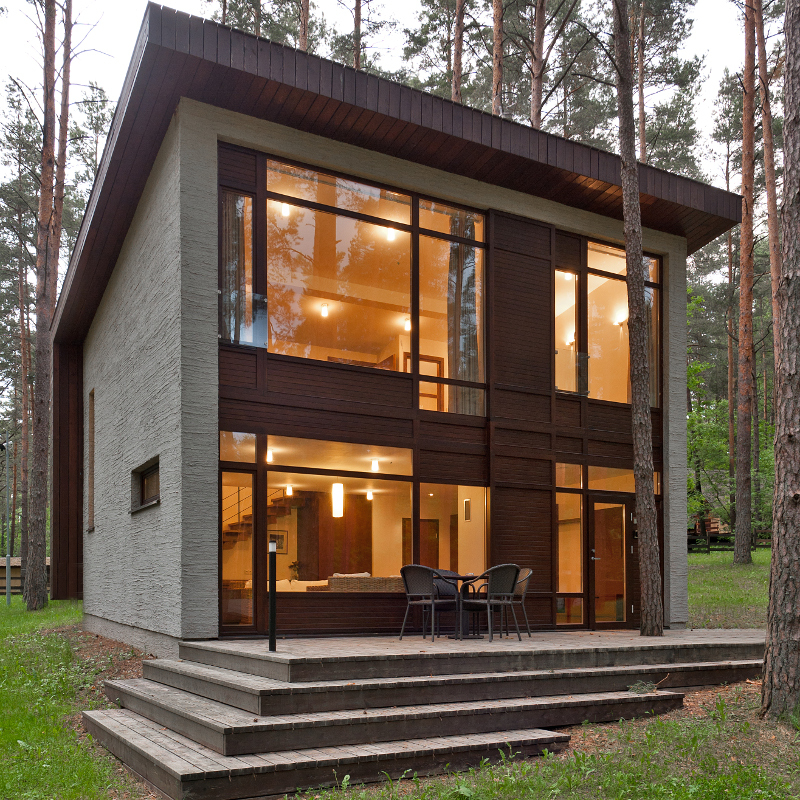 This modern innovation outperforms single and double glazed windows across the board. It will reduce your energy costs, increase the comfort inside your home and improve security. We are all familiar with the importance of wearing multiple layers of clothing in winter. Each additional layer provides not just another barrier against the weather, but also creates a space to trap warm air between them. Windows are similar. The price difference between triple and double glazing is 5% or less for standard glazing. Triple glazing creates not just a third pane of glass, but also a second air gap or cavity between them (see illustration left). Each air gap is also typically filled with argon which is heavier and less conductive than normal air. This makes it even tougher for energy to move through, reducing heat loss. 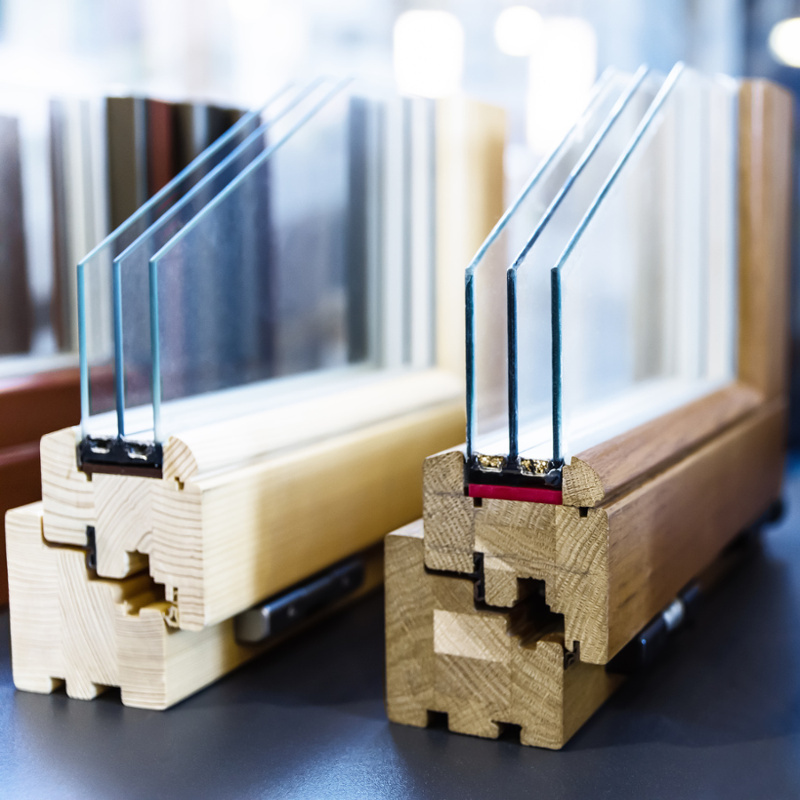 All of our frames are built for triple glazing, whether they be wood, vinyl or aluminum clad. Insulate yourself against rising energy costs and tightening building codes with triple glazed windows. Compared to double glazed windows, triple glazing can offer up to 40% more energy efficiency. Particularly in cold climates where heating costs are higher, this can add up to significant savings over the life of the window. Adding a third pane and creating a second air cavity sees a substantial boost in insulation, sound reduction and security. Finally, separating the glass with warm edge spacers and argon gas fillings provides the ultimate combination of insulation and energy savings. Does Triple Glazing Cost More? There is a widespread myth that triple glazing is expensive and may not be worth the extra cost overall. While this may hold some water in countries with lower energy standards and building regulations, it could not be further from the truth for German windows. Triple glazing is so common in Germany that the price difference for new windows is typically 5% at the most for standard glazing. Are Triple Glazed Windows too Heavy? Another common concern is that the additional layer of glass is unduly heavy and may cause issues for the frame or sash, as well as making them somewhat more difficult to open or close. This is another myth, based on fitters in other countries trying to jam three panes into an inferior existing double glazed unit. All of our windows feature the best hardware and precision built frames, all designed for triple glazing from the beginning. 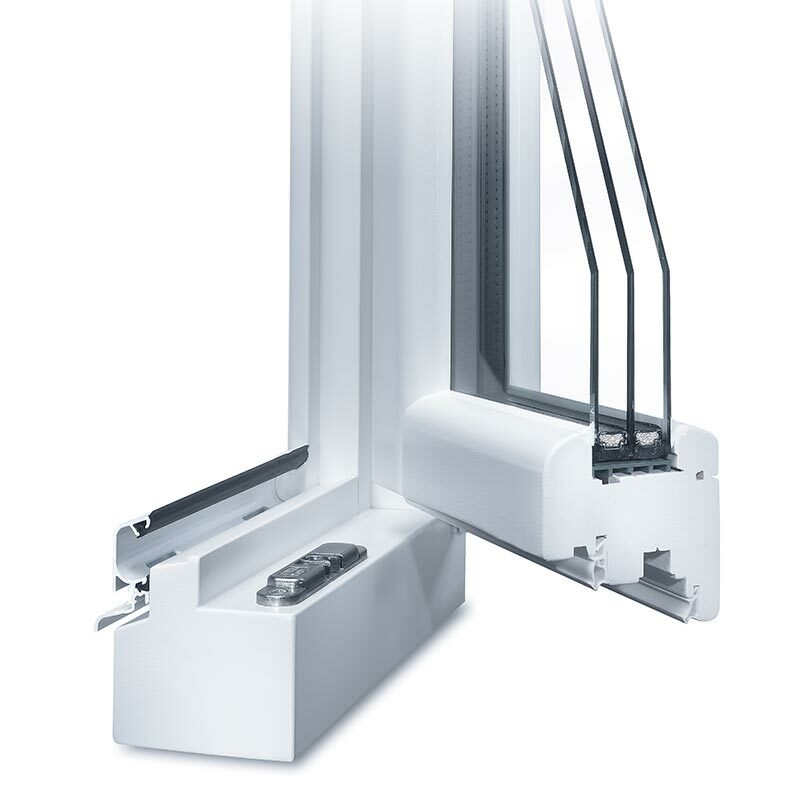 Moreover, every single piece of the window is made in Germany, ensuring the same reliability and quality people around the world expect from us. In fact, opening your German made windows and doors will probably be easier and smoother than your current single or double pane ones! A third sheet of glass in your window makes them that much more difficult to break through. 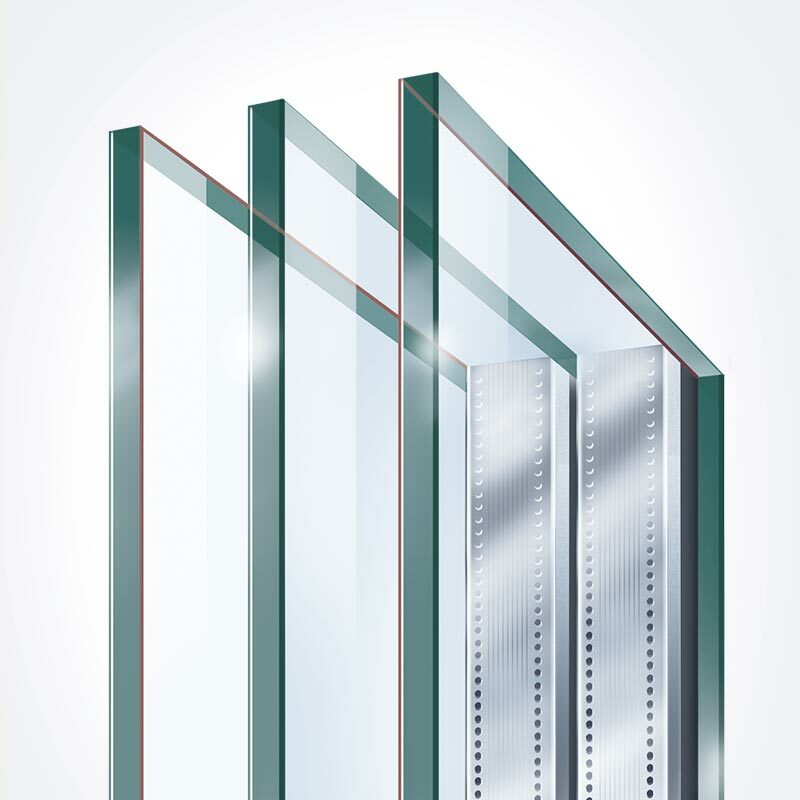 Neuffer also offers laminated safety glass in several configurations which can be added on the exterior, interior or both depending on your requirements. Exterior only is best if security is your only concern while interior only is best when safety is key, such as an area where kids typically play and the danger of broken shards would be unacceptable. The acoustic performance of triple glazing is also much better than glazed windows with only two panes. The additional glass and air gap reduce the ability of heat to move through, from one side to the other. Whether this is cold moving from outside into the house, or sound waves moving from a passing car inwards, the effect is the same. The triple barrier and argon gas filled cavities reduce their energy and ability to move, meaning less cold and sound entering the home.